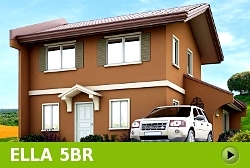 Camella Antipolo offers 10 elegant house models to choose from. House and Lot for Sale in Antipolo for only P6,165,000. Reservation is P50,000. Yours for only P45,121 / month! Greta house model has a minimum lot area of 150 sqm and a house area of 166 sqm. It's a single attached 2-storey house with five bedrooms, three toilets and baths, a living area, lanai, dining area, kitchen, a family area, walk-in closet, a main balcony with 2 carports, a balcony for the master's bedroom and a laundry and service area. House and Lot for Sale in Antipolo for only P5,700,000. Reservation is P50,000. Yours for only P41,718 / month! Freya house model has a minimum lot area of 150 sqm and a house area of 142 sqm. It's a single attached 2-storey house with five bedrooms, three toilets and baths, a living area, dining area, kitchen, a study area, a balcony, 2 carports, and a laundry and service area. House and Lot for Sale in Antipolo for only P4,648,000. Reservation is P40,000. Yours for only P34,019 / month! 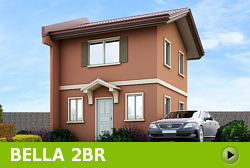 Ella has a minimum lot area of 128 sqm and a house area of 100 sqm. It's a single attached 2-storey house with five bedrooms, three toilets and baths, a living area, dining area, kitchen, a carport, provision for a balcony, and a laundry and service area. House and Lot for Sale in Antipolo for only P3,959,000. Reservation is P30,000. Yours for only P28,976 / month! 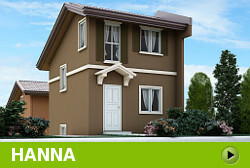 Dana has a minimum lot area of 107 sqm and a house area of 85 sqm. It's a single attached house with four bedrooms, three toilets and baths, a living area, dining area, kitchen, a carport, provision for a balcony, and a laundry and service area. House and Lot for Sale in Antipolo for only P2,925,000. Reservation is P20,000. Yours for only P21,408 / month! Cara has a minimum lot area of 88 sqm and a house area of 66 sqm. It's a single attached house with three bedrooms, two toilets and baths, a living area, dining area, kitchen, a carport, provision for a balcony, and a laundry and service area. House and Lot for Sale in Antipolo for only P2,655,000. Reservation is P20,000. Yours for only P19,432 / month! 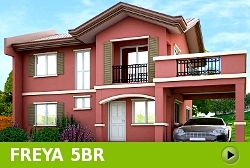 Bella has a minimum lot area of 88 sqm and a house area of 53 sqm. It's a single attached house with two bedrooms, two toilets and baths, a living area, dining area, kitchen, a carport, provision for a balcony, and a laundry and service area. House and Lot for Sale in Antipolo for only P4,520,000. Reservation is P40,000. Yours for only P37,808 / month! Carmina Downhill has a minimum lot area of 88 sqm and a house area of 80 sqm. It's a single attached house with three bedrooms, two toilets and baths, a living area, dining area, kitchen, a carport, and a laundry and service area. 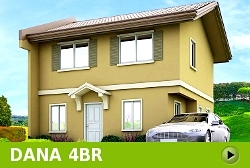 House and Lot for Sale in Antipolo for only P4,535,000. Reservation is P40,000. Yours for only P37,933 / month! 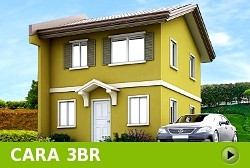 Carmina Uphill has a minimum lot area of 88 sqm and a house area of 80 sqm. It's a single attached house with three bedrooms, two toilets and baths, a living area, dining area, kitchen, a carport, and a laundry and service area. House and Lot for Sale in Antipolo for only P4,944,000. Reservation is P40,000. Yours for only P41,354 / month! Dorina Uphill has a minimum lot area of 99 sqm and a house area of 98 sqm. It's a single attached house with three bedrooms, three toilets and baths, a living area, dining area, kitchen, a carport, and a laundry and service area. SO SAFE AND SO NEAR... AN IDEAL LOCATION! Camella Antipolo is just minutes away from Metro Manila. Camella Antipolo is just 20 minutes from Ortigas. It has an altitude of about 600 feet above sea-level and is absolutely flood-free. You can savour the fresh air as the village is surrounded by landscaped greenery and pine trees. The subdivision’s high topography enables you to enjoy a scenic view of the majestic Sierra Madre at your very own balcony in the morning and a clear glimpse of the picturesque Metro Manila skyline in the evening when you visit popular restaurants and establishments in the area. 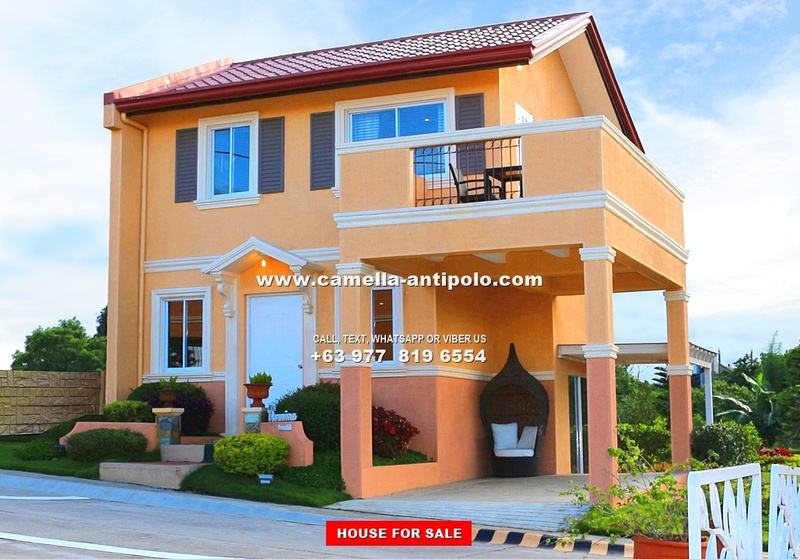 FREE HOUSE VIEWING AND CAMELLA ANTIPOLO TOUR! Take the first step in buying your own home! 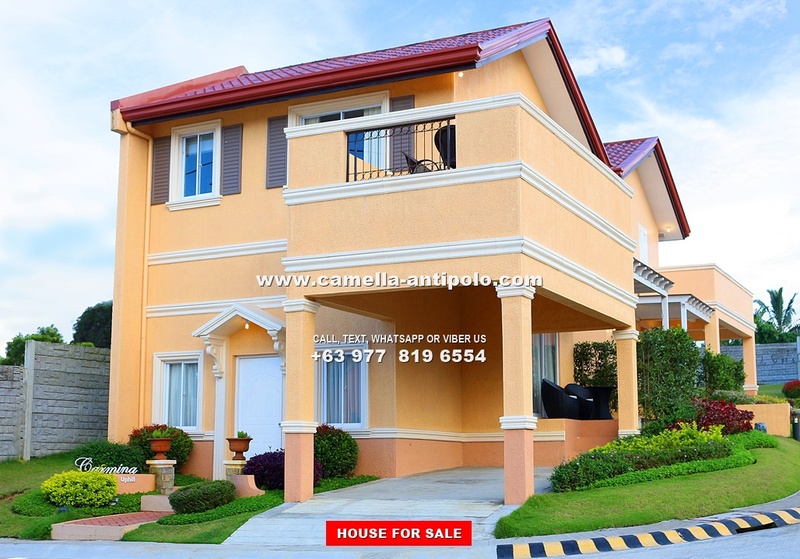 If you're looking for a house for sale n Antipolo, call us now and we'll take you to Camella Antipolo for free! We'll let you or your representative see how beautiful and affordable our house models are. You will also get to discover how progressive and accessible Antipolo is in case you are not familiar in the area. Best of all, we'll ensure that you avail of our latest promos so you can buy your house in Camella Antipolo under the best deal! Email us at inquiry@camella-antipolo.com now! 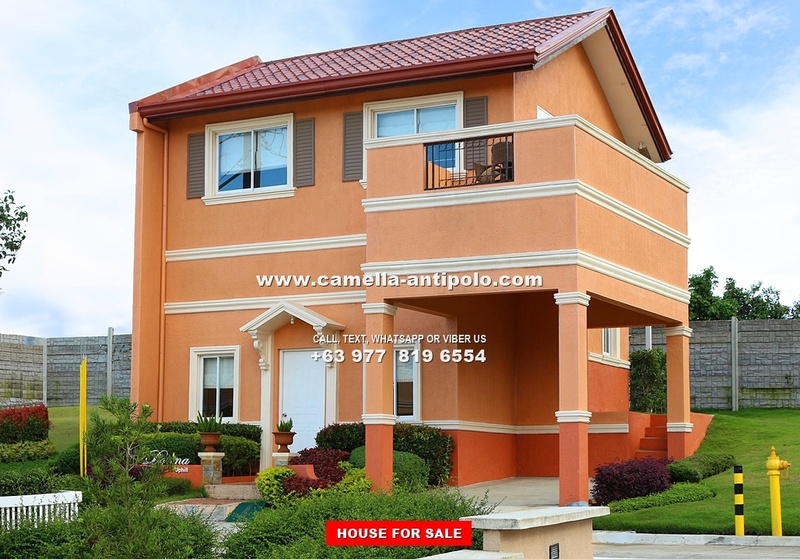 Camella Antipolo is very accessible via private or public transport. 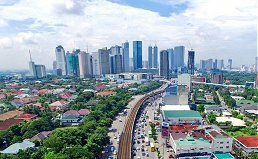 From Ortigas, travel time to reach the village is just 20 minutes. The combination of location, accessibility, prestige and affordability makes living in Camella Antipolo hard to beat! 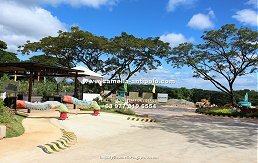 Camella Antipolo is a first-class 60-hectare Italian-inspired village located at the border of Antipolo City and Teresa. Camella Antipolo stands tall at more than 600 feet above sea level and features naturally-formed rolling landscapes and imported pine trees. Get a property in Camella Antipolo and live an active and healthy lifestyle just minutes away from Metro Manila! Bring happiness and prosperity to your loved ones! Invest on a property in Camella Antipolo now while the prices are low. With the opening of the Muntinlupa Cavite Expressway (MCX), travel time from Makati now only takes 20 minutes. This developent will make the value of your property in Antipolo reach unprecedented levels. Buying your dream home is easy even when you are working abroad. At Camella Antipolo, we make it easy for OFW's and overseas residents to avail of their dream house and lot through Viber, Facebook, WeChat, WhatsApp, e-mail or telephone. Our online consultants will assist you in selecting your preferred house and lot and more importantly discuss with you the financing scheme that works best for you. We will take care of your bank application and see to it that your house is delivered on time according to high quality standards. Buying a house has never been made so convenient... and worry-free! 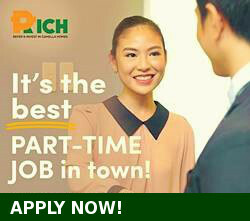 Text or call us at +63 977 819-6554. We'll answer your inquiries and schedule a site viewing for you or your representative. We will provide your service vehicle to Camella Antipolo for free! 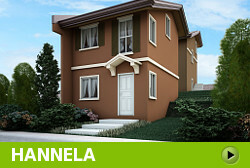 Pay the reservation fee for your preferred house and lot in Camella Antipolo. Please bring a valid IDs. Our sales office accepts cash, credit cards and cheques. From the 1st to the 12th month, pay the monthly downpayment. You can also pay the DP in cash and get big discounts (please contact us for details). A list of requirements to be submitted within 30 days will be provided to you for your guidance. Our team will assist you in every step of the way, including the application for bank financing. On the 13th month, bank financing commences. For details, please refer to the monthly amortization in the sample computation. Your move-in date is 4-6 months after the downpayment period. The brand-new house and lot is yours. Congratulations! 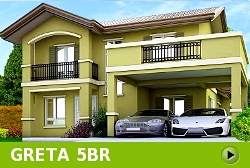 For inquiries, e-mail us at inquiry@camella-antipolo.com. Camella Antipolo is a trademark of Vista Land, Inc. Copyright © 2016 Indigold Realty. The developer shall exert all efforts to conform to the specifications cited herein.